A sturdy up north getaway! 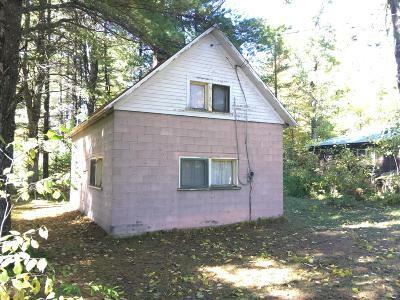 This property is a great opportunity to be near lakes, rivers, streams, public land, and more! The home is a 2 bedroom cabin, with a well, kitchen, living room and a wood burning stove. This block built home needs a little TLC to make it your own, but will stand the test of time! LOCATION LOCATION LOCATION... this is the area you want to be!